Mumbai: In my last post, I interviewed Rathin Barman about his recent work exhibited at the deCordova Sculpture Park in Lincoln, Massachusetts. 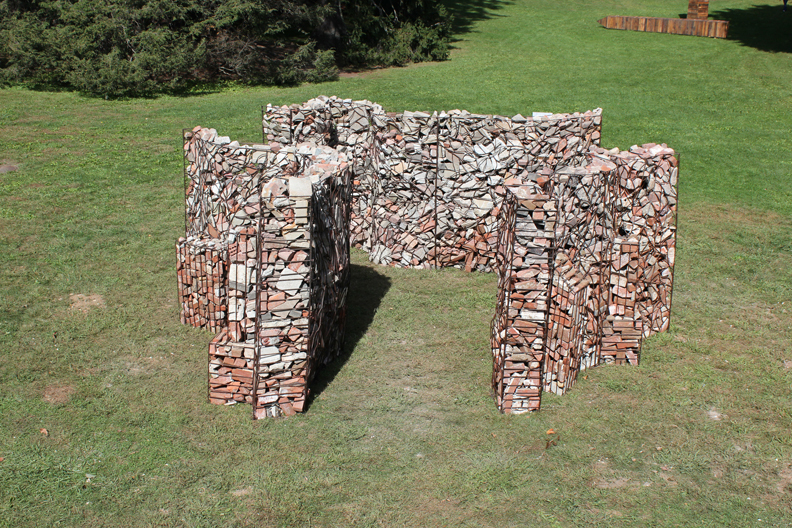 This work debuted with Experimenter at the Frieze New York Sculpture Park. The Kolkata based gallerists Prateek and Priyanka Raja spoke to me about about how they saw this work transform from an art fair context to an institutional context. DC: How did you see the work develop from idea to the fair, and from the fair to the park? Prateek and Priyanka Raja (PPR): When Rathin responded to the possibility of showing a work at the sculpture park at a venue as prestigious and global as Frieze NY, we felt that he had exceeded our expectations in conceptual framework and thought. Untitled 2012 was also so ambitious in its scale and vision that we knew immediately we would need a collaborator to actualize the project. We were very fortunate to have had the support of Creative India Foundation through every step of the process from production to shipping to installation and even take down of the work at the fair. At the fair, we were anxious how this would turn out given that this was the first time the work was being installed ever. When finally put up, the work looked stunning across the river and with the Manhattan skyline in the backdrop as if conceptually and physically the work came together. 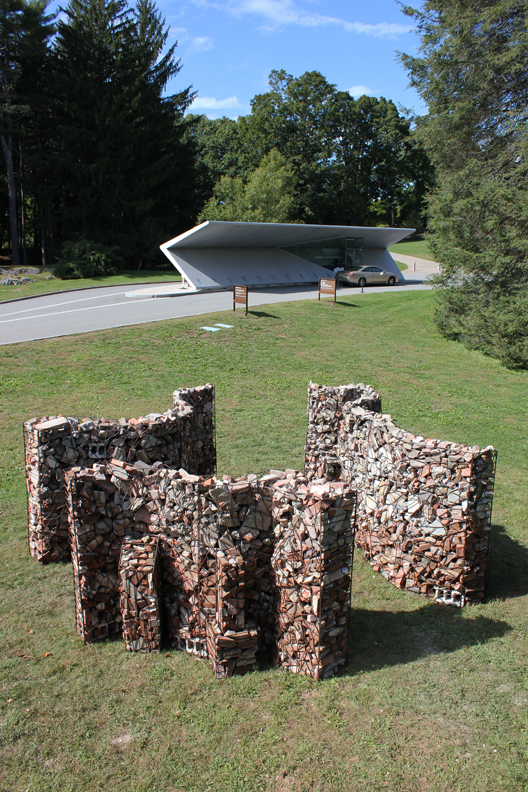 Then when through Creative India Foundation, the opportunity came for the work to be installed at deCordova Sculpture Park, was the high point for us. It meant that the work had found a truly public space viewed within the context of some fantastic sculpture by some of the best sculptors in the world in a beautiful sculpture park that was renowned for its content. It was realizing a large project from seed to thought to reality — a truly wholesome experience for us. DC: How does it feel to have the first Asian sculptor to be displayed at one of America’s best sculpture parks? This is a great honor for Rathin, do you have any other developments you can share with us about his exciting career? PPR: Rathin Barman is a very young sculptor, but his work is not restricted by scale or ambition. For Rathin we feel it was an opportunity of a lifetime. This was the first time he had travelled outside India and I think the learning was tremendous. The honor for Rathin to be included in a sculpture park, not only as an Asian but as an artist is tremendous. Rathin is working on a large commission for a very interesting collection currently and is preparing for a show that is in the development outside Kolkata. Also he is simultaneously applying to a selection of residencies for next year, as we feel the next level of his practice needs to have a deeper understanding of material, form and process that will be possible to garner in an international residency and open up newer possibilities for Rathin. DC: You received many compliments about Rathin’s work at frieze, any you can share? PPR: During Frieze, one of the most poignant sights with regard to the sculpture was when someone left behind a bouquet of sunflowers beside the sculpture. Untitled really is a work about the ferocious need for our cities to grow and at the cost of everything else around it including nature, the people who live in it and the fabric of lives in a city like NYC. That was an unsaid compliment but whoever kept the flowers surely understood what the work was about.